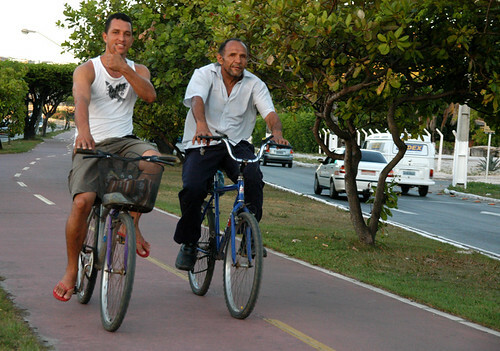 Everyday, 24 million Brazilians use their bicycles. 53% use it as a way of transport. It's not only football and samba. It's much more. There are lots of great examples of bicycle friendliness in the country, too. We've written about Ubatuba before. And then you have Aracaju. It's located in the north-east the country. With around 570,000 inhabitants, the city has a lot to offer. It goes beyond the point of great beaches, weather, and so on. It also includes bicycles. Lots of them. Everywhere. Critical Mass and lots of events. 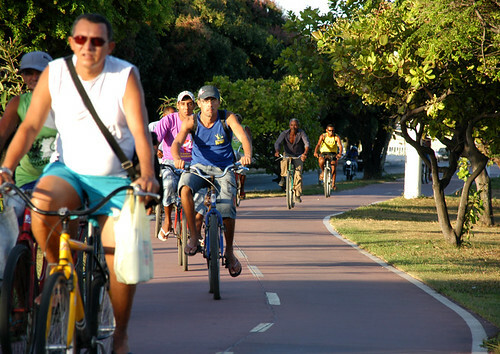 Considering these bike facts, Brazil may now be football, samba and bicycle culture (and weather, and food, …) country. Two caipirinhas, please!